Ten years ago Bill and I met. Ten years! It must have been the luck o' the Irish or, perhaps, the T.G.I. Fridays flare! A few days later we had our first date and that was it...we have been together ever since. We have been through so much in that time -- both wonderful and difficult -- and I am so glad we have had each other. Happy Ten Years Sweetheart! 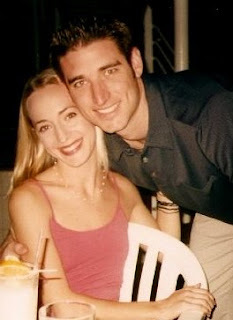 This picture is from 1999 -- a few months after we met. We haven't changed that much, right?